This website displays weather information from the suburb of Latham in the Australian Capital Territory. The weather station in use is a Davis Vantage Pro2, and these pages are updated every 5 minutes. The meteorological day used at this station ends at midnight. 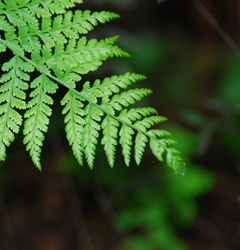 The fern image above was taken by my Flickr alterego CJHudson. Am considering changing the theme of the page yet again. I have been inspired by the new local interface of CumulusMX. Some changes may be subtle. Some may be "more interesting". Upgrade to Bootstrap 4 and change to dark theme. With the successful move to the Raspberry Pi and CumulusMX, I have retired the VWS software. Change of theme to the blue theme. Addition of random weather quotes to each page. Converted website to using Twitter Bootstrap with the dark theme. Page updated 26/04/2019 10:40:02 PM.